San Francisco may be ready to try something no other city has ever done: Demand-based pricing on parking meters. The goal is to ease the city’s monumental parking problem. In the city's Castro district, Ethan Flaeger is used to hunting for parking. "Always bad. I have to park up in the neighborhood," he said. 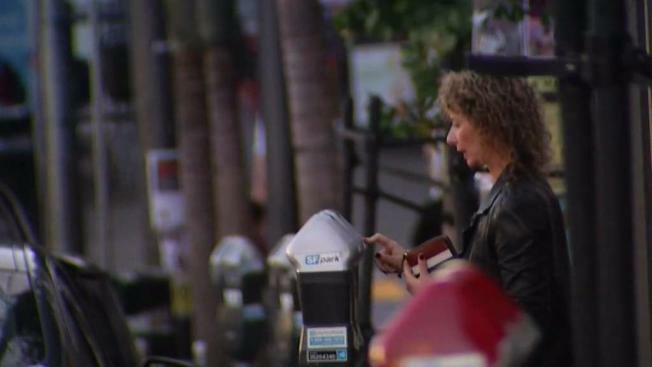 The San Francisco Municipal Transportation Agency is trying to ease those frustrations at the parking meter with an adjustment, and they say early descriptions of the program are not quite accurate. They're calling it demand-responsive pricing to allow more parking, less double parking and circling the block. "It's just not surge pricing," said Tom Maguire, of the SFMTA. "This is a transparent gradual decrease or increase in the parking rate depending on how many people want to come park. There is almost always a space available on the blocks where we have tried this policy." Many busy areas of the city already have these rates. The idea is to go citywide, and in places like the Castro, where Daniel Bergerac is co-owner of Mudpuppy’s Tub and Scrub, it's getting mixed reaction. "Overall, it's going to be a benefit for the neighborhood," Bergerac said. "The more cars that are parking and leaving, the more turnover there is, the more opportunity for new people to come in and shop." But some people who struggle to find parking in different parts of the city certainly have their doubts. One man said these type of rate structures for meters actually keep him away. "I got charged a huge amount down at Fisherman's Wharf, like crazy, and to be honest, I would avoid taking visitors," he said. "Not a good idea."